Vice president M Venkaiah Naidu has said that linking of rivers will help farmers to grow more crops and increase their earnings. He said governments have been considering inter-linking of rivers for decades, but because of certain hurdles the plan did not materialise. But, what exactly is inter-linking of rivers? The idea is reduce farmers’ dependence on erratic monsoons. The plan is to link over 50 rivers and resolve the persistent problem of floods and droughts. The $87 billion effort will help connect some of the country’s biggest rivers, including the Ganges. The mission of this programme is to ensure greater equity in the distribution of water by enhancing the availability of water in drought prone and rain-fed area. Under the National Perspective Plan (NPP) prepared by ministry of water resources, National Water Development Agency (NWDA) has already identified 14 links under Himalayan Rivers component and 16 links under Peninsular Rivers component for inter basin transfer of water based on field surveys and investigation and detailed studies, said the ministry of water resources, river development and Ganga rejuvenation. Out of these, feasibility reports of 14 links under Peninsular Component and 2 links (Indian portion) under Himalayan component have been prepared. A group on intra-state river links has been constituted and it has reviewed all issues on intra-state river links. The NWDA has received 46 proposals of intra-state links from nine states -- Maharashtra, Gujarat, Jharkhand, Orissa, Bihar, Rajasthan, Tamil Nadu, Karnataka and Chhattisgarh. Out of these 46 proposals, pre-feasibility reports of 35 intra-state links have been completed by NWDA up to March, 2015. In addition to National Perspective Plan link, the Detailed Project Report (DPR) of two intra-state links of Bihar state -- Burhi Gandak-Noon-Baya-Ganga and Kosi-Mechi link have been completed in December 2013 and March 2014 respectively. Detailed Project Report of Kosi-Mechi link in under technical appraisal. Detailied project reports of Ponnaiyar –Palar link (Tamil Nadu), Wainganga (Gosikhurd)-Nalganga (Purna Tapi) link (Maharashtra), Barakar-Damodar-Subarnarekha and Vamsadhara-Rushikulya (Nandaninalla) are under progress. So, what are the benefits of interlinking of rivers? The overall implementation of Interlinking of Rivers programme under National Perspective Plan would give benefits of 35 million hectares of irrigation, raising the ultimate irrigation potential from 140 million hectare to 175 million hectare and generation of 34000 megawatt of power, apart from the incidental benefits of flood control, navigation, water supply, fisheries, salinity and pollution control etc. Which are the rivers to be linked? 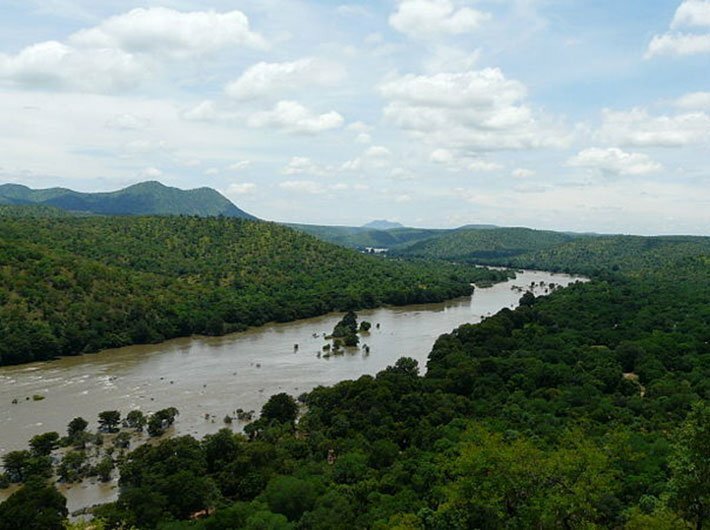 The Ken-Betwa link project has been declared as National Project by the government. The other projects include Damanganga – Pinjal Link Project and Par – Tapi – Narmada Link Project. Mahanadi Godavari link is the first and critical link of nine link system of Mahanadi-Godavari-Krishna-Pennar-Cauvery-Vaigai-Gundar under Peninsular Component of NPP. The government of Odisha was not agreeable for the Mahanadi (Manibhadra) - Godavari (Dowlaiswaram) link due to large submergence involved in Manibhadra dam proposed under the link project. Manas-Sankosh-Teesta-Ganga link envisages diversion of 43 billion cubic metre (BCM) of surplus water of Manas, Sankosh and intermediate rivers, for augmenting the flow of Ganga and provide 14 BCM of water in Mahanadi basin for further diversion to the South through Peninsular link system.